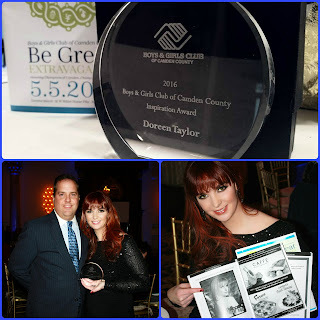 Billboard charting Adult Contemporary recording artist and award winning songwriter, Doreen Taylor was awarded the prestigious 2016 Inspiration Award from the Boys & Girls Club of Camden County at the Be Great Extravaganza on May 5, 2016 at Lucien's Manor in New Jersey. Doreen received the honor for her tireless work with the organization and charitable work within the community. Guests at the Be Great Gala were treated to a live performance by Doreen of her moving rendition of "Over the Rainbow" with guitarist Randy Bowland. Taylor dedicated her performance as well as the award to the kids in the Boys & Girls Club. 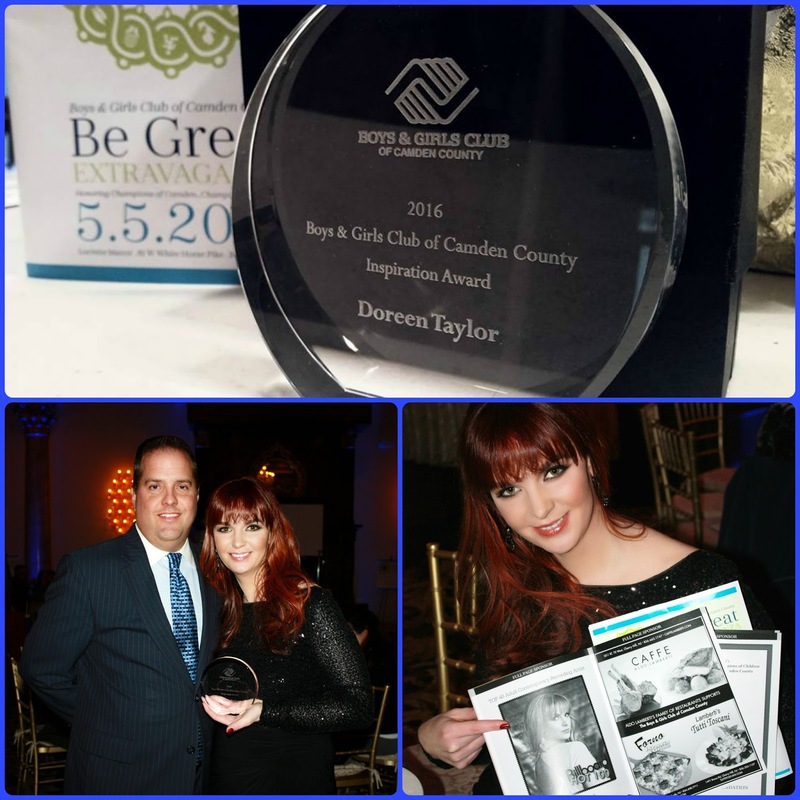 Taylor filmed the official music video for her 2015 Holiday hit "My Christmas Wish" with the children from the Boys & Girls Club of Camden County and donated a portion of the proceeds from sales of the physical song's single. In 2014, Taylor also teamed up with children from both the Philadelphia and Camden, NJ chapters when she personally bused out the children from both organizations to Independence Hall/Liberty Bell in Philadelphia, PA as part of her new mission as Ambassador to the National Parks to get children connected to the US National Parks. 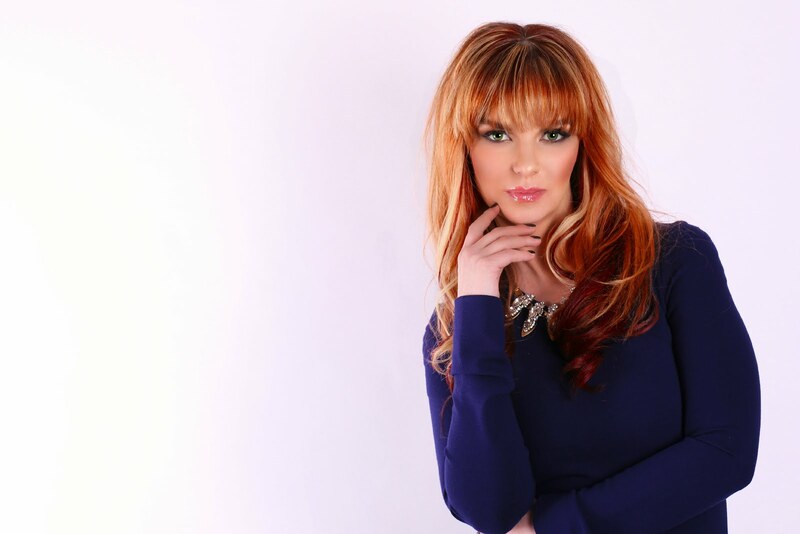 Kids got a chance to meet Doreen, hear a special live performance of her song "Colors of the USA" performed in the park and visit the Liberty Bell. I am an event photographer, I love this venue, and I will revisit this venue New York in a heartbeat. They have really great staff and pretty decent drinks. Their halls and rooms are absolutely gorgeous.